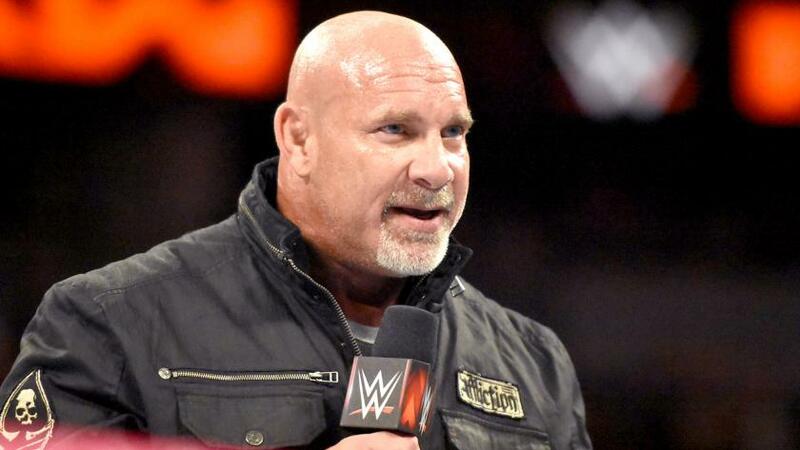 Home › Pro Wrestling › Goldberg: Hall of Fame Worthy? Goldberg: Hall of Fame Worthy? WWE announced last week that Bill Goldberg will headline the 2018 class of the WWE Hall of Fame. Goldberg’s popularity is undeniable, however, his body of work and lack of longevity calls into question the legitimacy of his pending induction. Former WWE writer Kevin Eck wrote an article explaining why he believes Goldberg doesn’t deserve to be in the Hall of Fame and has a valid argument. Still, the intangibles of Goldberg’s career represent more than a quantified metric of success. The legitimacy of the WWE Hall of Fame is constantly criticized due to less deserving wrestlers being inducted before those whose inductions are unquestionably deserved. In addition, Vince McMahon is the sole decision maker on who gets in, which explains why Koko B Ware was inducted before Macho Man Randy Savage…if he should have been at all. Eck’s argument mainly lies in the fact that Goldberg was unable to get on the 2017 ballot for the Wrestling Observer Hall of Fame. The Observer’s voting criteria calls for a wrestler to get 60% of the vote for consideration. Goldberg only received 30%. The other arguments that Eck mentions, which are in line with Observer voting, are completely strong points. Goldberg never had a long run on top; often-worked short matches, he wasn’t a compelling promo and, mechanically speaking, he wasn’t that good of a wrestler. While nothing Eck said was wrong, there is more than one way to judge these things. Wrestling Observer founder Dave Meltzer is considered the G.O.A.T. when it comes to wrestling journalism. He is also just one person who has had his fair share of criticism with industry insiders and fans. Goldberg’s body of work, despite how limited he was in the ring, captivated the audience to a large degree. The intensity he exuded, along with his massive physique, made him look like a Steve Austin that could actually fight. People got on board in a major way and never let go. The former Atlanta Falcon embarked on a legendary undefeated streak from the moment he quietly debut in September of 1997. Ten months later, Goldberg became WCW World Heavyweight Champion. He would remain WCW’s top star until WWE acquired the promotion in March 2001. After a two-year hiatus, Goldberg signed with WWE in March of 2003, where he endured a one-year run that looks good on paper but failed to capture the magic he had in WCW. This was due to Goldberg being booked as just another wrestler instead of the steamrolling monster that people wanted to see. Fast-forward twelve years, Goldberg returned to WWE and this time, the magic was back! Goldberg had a memorable feud with Brock Lesnar and beat Kevin Owens for the Universal title along the way. His second match with Lesnar, all five minutes of it, was considered by many to be the match of the night at WrestleMania last April. The next night, Goldberg cut a passionate and unscripted promo where he talked about what this last run meant to him and his family; endearing him to fans on a real level. He thanked the fans and stated that “It’s not goodbye, it’s see you later” in regards to future appearances. So many die-hard wrestling fans are caught up in how good a wrestler someone is that they forget that pro wrestling is a performance. The right person at the right time is the essential ingredient in order for a character to click. Superman would be a crappy superhero without his wide array of superpowers. Why? Because he’s not Batman. The same goes for holding Goldberg to an unfair standard because he lacks the technical wrestling acumen of Kurt Angle. Bill Goldberg fit the role of the undefeated badass in a perfectly tailored suit. That’s why the character resonated so strongly with so many people. That’s why Goldberg was still over when he returned last year despite his prior run. And that is why WWE tried recreating Goldberg with Ryback, which almost worked…Almost. Characters and stories are what drives the wrestling industry as success in different territories, in different countries; at different times and in different ways all deserve their accolades. Goldberg’s success was unique, entertaining, and the industry is better off for it because one more hero is never a bad thing.